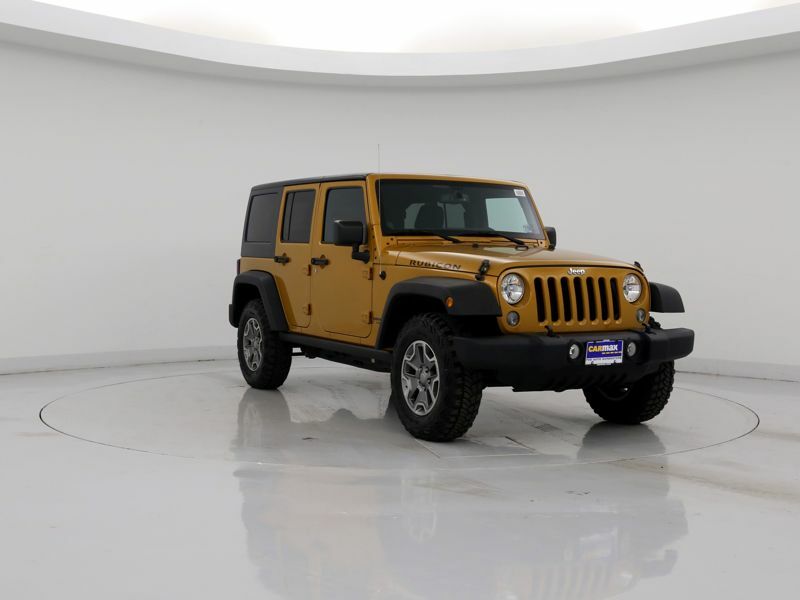 Transmission: Automatic Color:Orange Interior Color: Black Average Vehicle Review: (4.68 reviews) There is nothing else like a Jeep Wrangler. Even if you're just out running errands, cruising around in the summer with the top down is an instant vacation. Even with the top up, driving it is a blast and with 4-wheel drive, you aren't limited to just the warmer months like other convertibles. And with 4 doors and plenty of cargo space, it has plenty of room for hauling friends, kids, and piles of stuff around. This car is perfect for all seasons. In the summer time I ride with the top down every day that it's not raining. With the soft top that I have, I have the option to remove the top completely, or, just pull back the sun rider so that just the top over the front seat is pulled back. In the colder seasons where there's snow, the 4 wheel drive is a life saver. It is a myth that a soft top will make the car cold in the winter. The heater works better than any other car I've owned and the car is just as insulated with a soft top as opposed to glass windows. The wrangler is not for everyone. This is not meant to be a glamorous vehicle. It's fun and hands on. If that's not something you're interested in, this car is not for you. styling first of all, its the first vehicle to be driven on all 7 continents. This wrangler has a proven history of getting a person where they need to go regardless of the conditions. I am an avid outdoor adventurist and general explorer of this world, this is by far the most versatile, well built, long lasting vehicle out there... buy it.